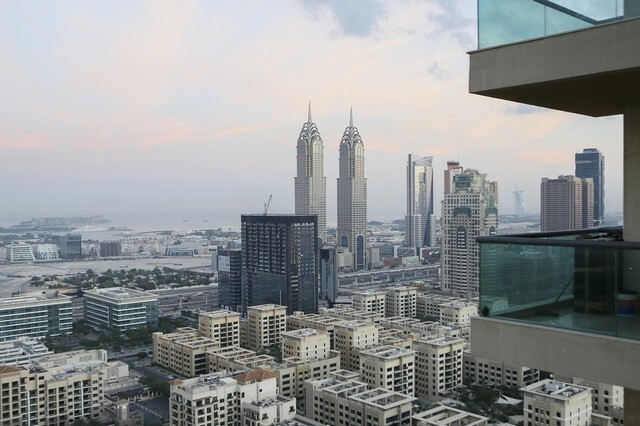 Villa and apartment prices in Dubai and Abu Dhabi fell between 4 per cent and 6 per cent during the second quarter compared to the same period last year as the economy slows amid softening oil prices, according to the property consultants Cavendish Maxwell. Home prices, however, are expected to remain stable in the third quarter as the slow months of summer and Ramadan put a damper on the number of transactions. Banks are also still cautious when it comes to approving mortgages, exacerbating the slowdown. “Transaction activity is expected to remain muted during the third quarter, in line with past trends,” said Manika Dhama, a research manager at Cavendish Maxwell. Declines were steeper in the second quarter in Dubai, where there is a bigger supply of real estate than Abu Dhabi. In the capital, property prices eased 4 per cent year-on-year. When compared to the first quarter of this year, however, prices in both emirates fell less than 1 per cent. The consultancy said that house prices have been easing since the second quarter of 2014, when the price of oil began its descent. Since then, property prices in the country have dropped by 12 per cent. Rents have also declined by about the same amount as prices during the second quarter versus the first quarter, Cavendish Maxwell said. Drops, however, were most pronounced in certain high-end properties in Abu Dhabi such as Al Raha Beach because of job losses in the emirate’s energy industry. The price falls has been somewhat cushioned by the fact that the pipeline of new units coming on stream is less in Abu Dhabi than Dubai. About 2,800 residential units were completed in Dubai in the second quarter, compared with 570 units in Abu Dhabi. More than 30,000 units are scheduled to be completed in Dubai during the second half of this year, while an additional 3,100 units are slated to be completed in Abu Dhabi during the second half. “Low oil prices and job losses in the oil and gas and construction sectors have impacted demand. However, average declines have reduced marginally from the first quarter, when rents had fallen between 1 per cent to 2 per cent,” Cavendish Maxwell said.